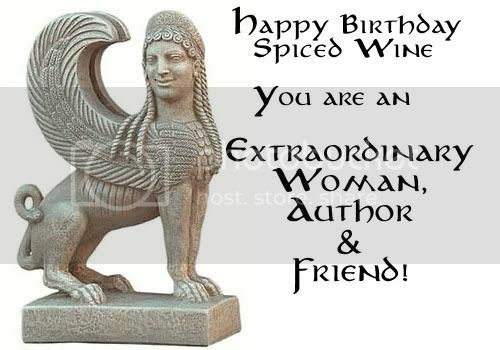 If there is one single person who has been instrumental in getting me involved in fanfic as an author and given me support when I most needed it, it is my overseas friend, Spiced Wine. Today is her birthday, and in between the Superbowl festivities and food, I had to pop in here to wish her the most special day, and most extraordinary happy year of joy ahead of her. Celebrate, lift a glass, and smile, we share your world and I, for one, am very grateful for that fact. Thank-you, Erulisse. :) Kind words indeed.